Years ago, fellow DJs Jim Aasgier, Nizzle and MC Bizzey teamed up to form the creative and innovative group Yellow Claw. 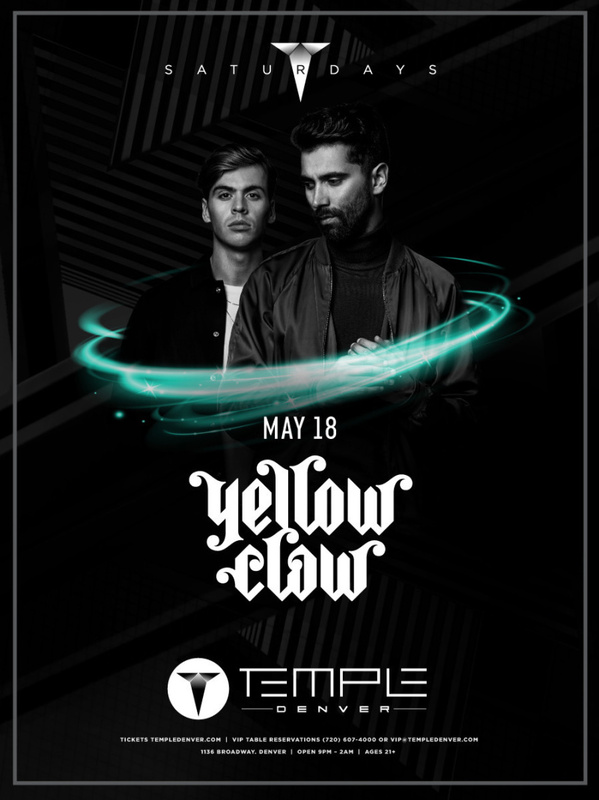 A big part of the Yellow Claw success are their trademark skills, interaction with the audience, their music video's and a sound that crosses boundaries and mixes up genres. Temple Nightclub Saturday's is a venue for artists, by artists, offering a nightlife experience that is unrivaled in the Mile High region. Temple Denver features awe-inspiring, fully immersive state of the art lighting and visuals, to a thundering custom sound system, paired with world-class talent and theatrical production.